Towards the end of last year, indie-rock trio Barefoot Bowls Club burst onto the scene and begun charming crowds around Melbourne with their endearingly raw alt-pop. Earlier this year, they dropped their debut single ‘Passing Out (On The Pakenham Line)’ - an slice of cruisey garage pop, packed with jangling guitars, a bopping rhythm section and vocalist Astrid Watt’s powerfully frank lyrics. As the band start gearing up to drop their next single, we caught up for a chat to get a cheeky insight into all things Barefoot Bowls Club. TJ: So who are Barefoot Bowls Club? BBC: We are three mates from Melbourne (coincidently also siblings) who play stock standard, relatable indie trash. You released your first single ‘Passing Out (On The Pakenham Line)’ earlier this year - want to tell us a bit about the track? ‘Passing Out On The Pakenham Line’ is a true tale of tragedy we all know so well. The inspiration for the song came from Astrid passing out on the train before ever making it to the bar. The next day our mate Breanna jokingly made up a song, recalling events from the previous night and that’s where it all began. Ultimately, it’s about doing stuff you regret and then doing it again and again (and again). Lyrically, it’s a pretty raw and honest track, but also really endearing. How important are the lyrics in Barefoot Bowls Club songs? Very, all our songs tell stories, however some are more literal than others. We’re inspired by artists like Will Wagner and Alex Lahey lyrically, in particular their ability to bluntly tell stories in a beautiful way. Many of our favourite songs are very straight to the point while still leaving room for people to add their own interpretations. Despite being a relatively new band, you’ve burst out of the gates and played a heap of gigs in your first six months. Any highlights so far? One of our favourite gigs was one of our first. We hosted an Oxjam for Oxfam night in our lounge room. It was a very fun night with way too much alcohol consumed and we are really excited to do it again this year. Nothing better than some lounge room crowd surfing. I suppose the biggest highlight since we started has been our friends supporting us. We’ve got some damn good mates who sing along and have a dance at our gigs. The band isn’t just us but all our friends who care about music. They’ve also inspired our album artworks and a lot of the songs. What’s up next for Barefoot Bowls Club? More music! 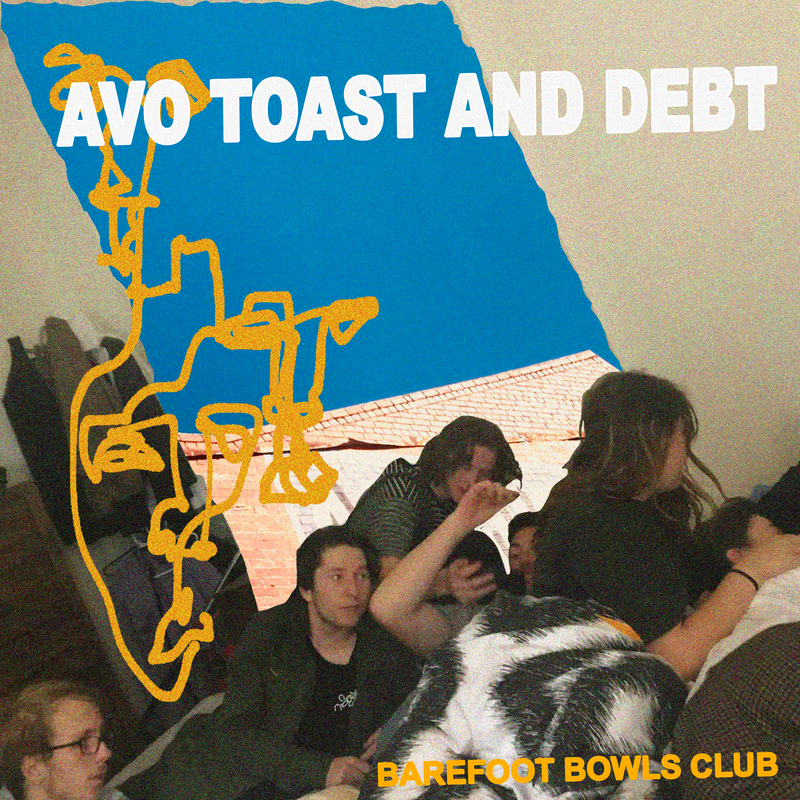 We are very excited to release our next single ‘Avo Toast and Debt’ coming out next month. We are also recording a few more tunes over winter and are hoping to host another loungeroom gig soon! We are also extending our ‘6 Marcus Road’ backyard acoustic sessions to other amazing artists. Exciting times! Check out Barefoot Bowls Club's debut single 'Passing Out (On The Pakenham Line)' above and follow them on Facebook to keep up to date on their next shoes and new music.